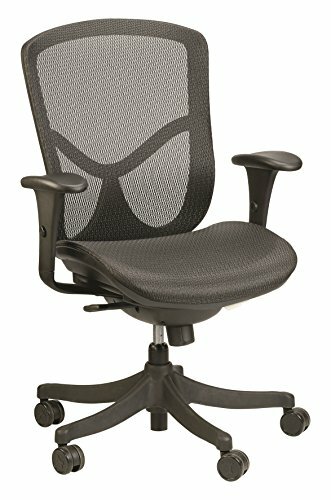 This mesh task chair provides exceptional support to the hard-working professionals in your office.Transparent mesh across the back allows air to circulate, keeping you cool no matter how high the pressure gets. 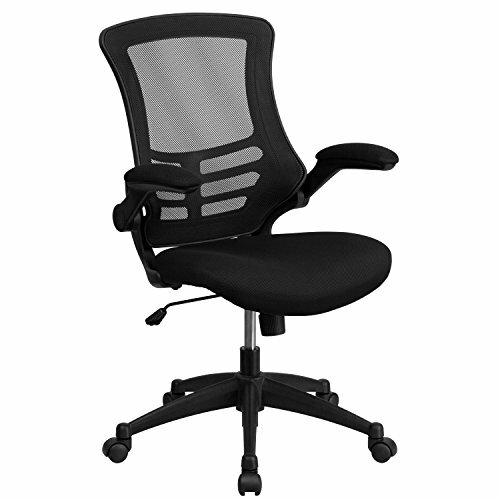 Built-in lumbar support helps prevent back strain and muscle fatigue. The swivel seat is padded with three-inches of CA117 fire retardant foam and covered with black mesh upholstery. Its waterfall edge is designed to relieve pressure and promote healthy blood flow to your legs. Raise and lower the seat using the pneumatic seat height adjustment lever, conveniently located under the seat. Turn the tilt tension adjustment knob to increase or decrease the amount of force needed to rock or recline. Lock the seat in place with the tilt lock mechanism. 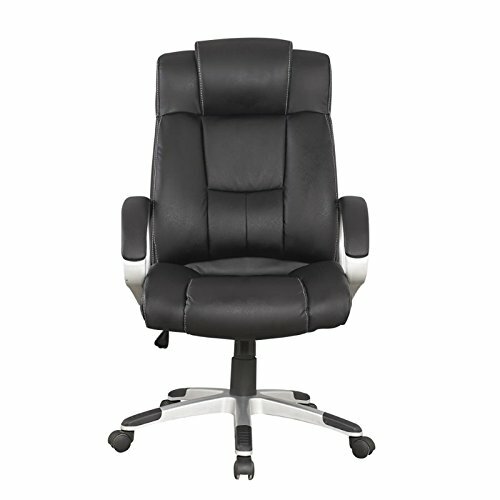 Padded armrests take pressure off your shoulders and neck, and flip up and out of the way, as needed. 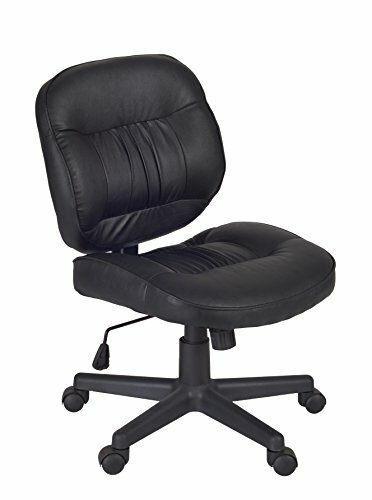 The heavy-duty, nylon base with dual wheel casters makes it easy to roll across the floor.Whether it’s a day filled with meetings or you’re working to beat a tight deadline, this stylish chair will keep you cool and comfortable throughout your busy day.